We’ve all heard the saying “blondes have more fun,” but we’re here to argue that it’s the curly-haired girls who actually have the best time. Sure, the frizz factor may make you want to scream in the middle of July, but there are tons of products to nip that humidity issue in the bud. We say, embrace your curls! 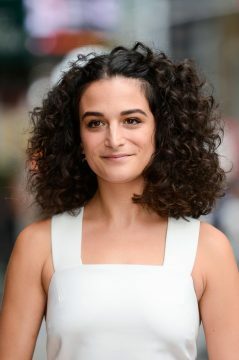 In addition to these 10 hot Summer haircut trends, we’re offering eight different curly style options to inspire you. 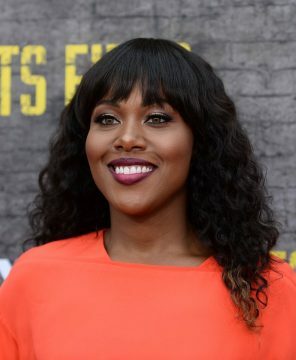 From the “newfro” to a curly midi to Rapunzel-status waves, here are the new styles that three hairstyling pros are psyched about this Summer. Description: “Lupita owns this non-afro that I’m calling the newfro,” says Jet of Jet Rhys Salon in Solana Beach, CA. “To get this look, ask for an updated version of the classic afro. What makes the newfro different is that the layers are left a little longer on the inside of the cut. The bottom outline edge is cut a little blunt and short, but the layers are longer on the inside, giving bouncy coils. Also, unlike the traditional afro that is picked out and often made frizzy, the newfro is all about springy curls with sass.” Jet says this style is suitable for all face shapes but noted that it can make a round face look rounder. Style It: Less is more when it comes to shampooing this ‘do. Jet recommends “to only shampoo twice a week, because the hair needs the natural oil for it to embrace the curl. On freshly cleansed or wet hair, apply a gel that helps keep the structure to the curl.” Jet suggests Ouidad Advanced Climate Control Heat and Humidity Gel ($26) and says to wrap a two-inch section of gelled hair around a #2 pencil. Pull the pencil out and move on to the next piece of hair, repeating until you’re finished. Massage the roots once hair is completely dry to get a little extra volume, and you’re ready to go. Style It: “Apply a thickening lotion mixed with shine drops — like Ouidad’s Mongongo Oil ($38) — to help smooth out the bangs and root area,” explains Jet. “Then apply a mousse or gel — like MOP’s Lemongrass Volume Whip ($22) — to the midsections of the hair. Next, take three-inch sections of hair and loosely braid from the middle of the strands to the tips and allow them to air dry.” Once they’re completely dry, remove the braids and gently shake hair out with your fingers. “This look looks best on sweetheart-shape faces,” Jet adds. Description: “This midi-haircut has virtually no layering. The only layering is kept on the very outside edges of the haircut, which gives it the straighter appearance and makes it superversatile,” says Jet. “What really defines this style is the sleekness at the root area, and the added pins at the face make the look fun and cute.” Also, this haircut is suitable for all face shapes.